From World War I until the present, professional photographers and JDC staff helped fulfill JDC’s responsibility to communicate to the public the extent of the needs overseas and how entrusted funds were spent. As a result, more than 100,000 photographic images, many rich in ethnographic detail, provide a parallel visual history to JDC’s massive text archives, and literally put a face on individuals and (many now-vanished) communities reached by JDC’s life-saving work in Europe, Asia, Africa, and Latin America. Highlights from the photograph collection can be viewed in Our Stories and in our online exhibits. To date over 67,000 photographs from the collection have been digitized and selections are available to browse and search in our collection database. Images in the collection are searchable by photographer, subject term and location and date. Online photo orders are available. To include our photos on Facebook or other social media, please cite the JDC Archives as the source or adjacently include a link to our website. For web and other uses, please refer to the photo order form. 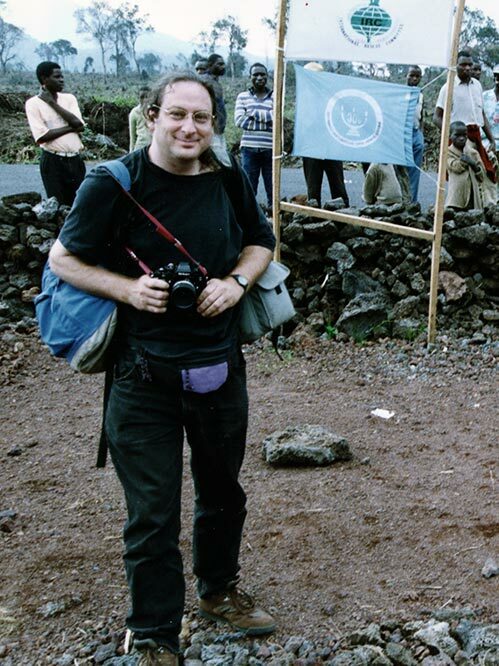 A JDC photographer in a Rwandan refugee camp.